HoW exciting! 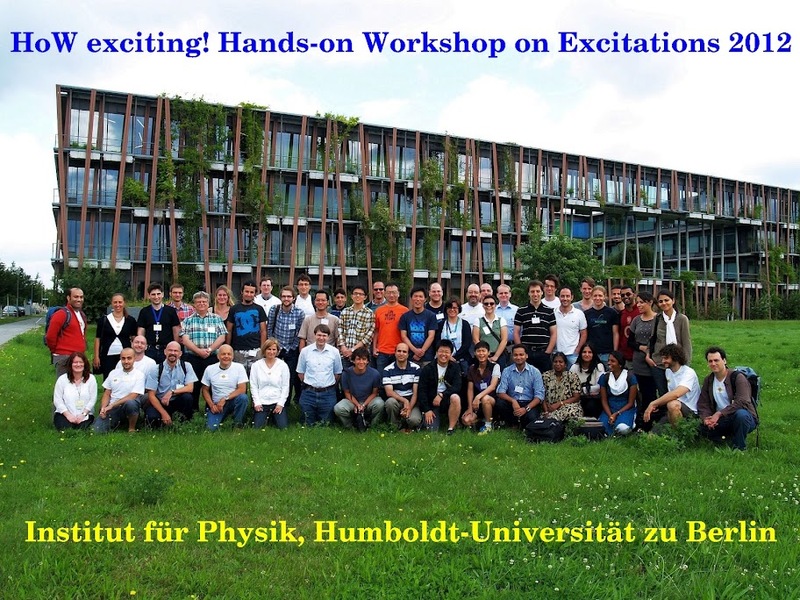 Hands-on Workshop on Excitations 2012, HU Berlin, August 2-8, 2012. Concurrently with the conference, the new exciting lithium has been released. PDF files of the lectures can be found here. The up-to-date workshop program can be downloaded here. PDF files of the lectures can be found here. Photos of the workshop are available here. The main goal of this Tutorial is to introduce young scientists to the theoretical foundations of state-of-the-art first-principles techniques based on and going beyond densitiy-functional theory (DFT). On the same occasion, there will be the opportunity to put this knowledge into practice through hands-on exercises with the software package exciting. Keynote lectures will be given by world-leading experts in various fields. They will comprise the cornerstones of DFT, time-dependent DFT (TDDFT), many-body perturbation theory (MBPT) for one- and two-body Green functions, and linear-response theory. Besides the fundamental concepts, some presentations will be dedicated to cutting-edge applications such as thermoelectricity or the physics of carbon monolayers. For further information, have a look at the CECAM web-page.